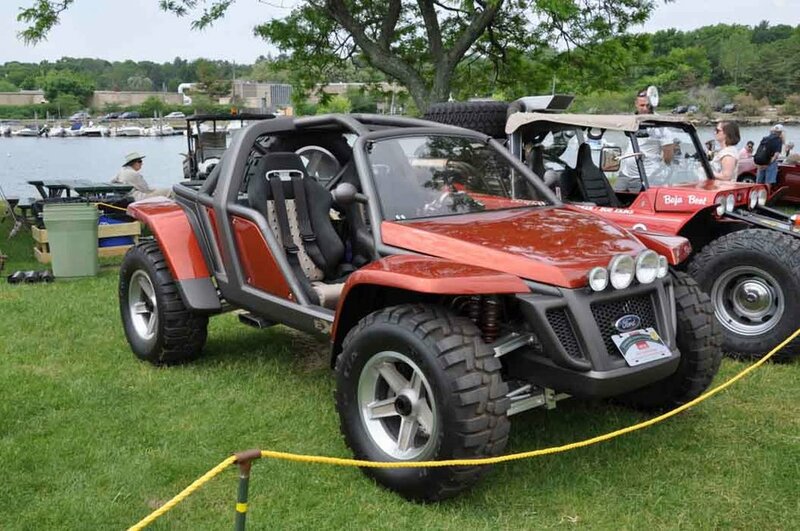 2015 Greenwich Concours — Automotive Restorations, Inc. Founder, creator and the force behind the Greenwich Concours was a bit under the weather this year but with the help of family and friends pulled it off just perfectly. Weather cooperated but for one brief interlude and we at Automotive Restorations and Vintage Racing Services Inc. were pleased to have been a part. Our crew worked well all weekend managing field and event operations. We were all happy to see a good number of projects we’d had our hands in on the show fields both Saturday and Sunday. Details follow...suffice it to say that It was a very good year! Walter brought his superb Buick 1965 Riviera Grand Sport. We painted this car nearly 2 decades ago and it still looks just right. Thanks Walter for taking such good care; the award was well deserved. 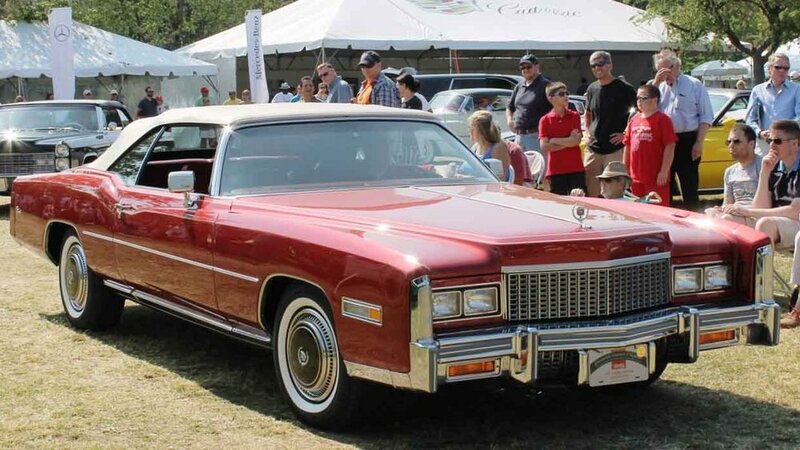 Two superb Eldorado convertibles. Brad’s last of the line 1976 example and Dave’s 1962 accepting the Meguiars award for most outstanding finish. We’ve serviced the pair, but did not do the complete restorations. Andy’s terrific 1949 Cadillac “Sedanette” however has had our complete attention and we were delighted to see it on exhibit at Greenwich Concours Americana 2015. It was indeed rewarding to see Ernie and fellow “Bentliest” Lou sitting on the field with Ernie’s 1934 Gurney Nutting bodied Bentley drophead Sunday Morning. Winning the Award for Best Vintage Automobile 1930-1945 made this debut perfect. 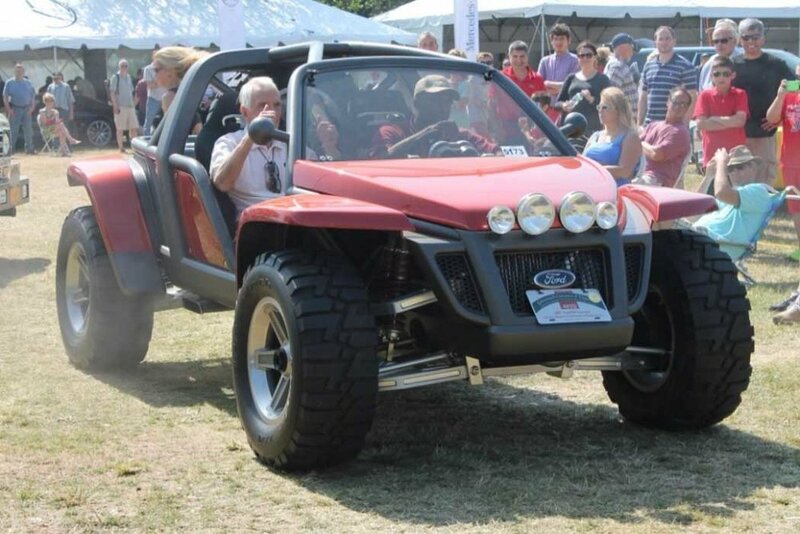 This Ford EX Concept car exists as the one and only built to show Fords advanced thinking in the off road sports arena. Fittingly displayed next to Jim’s Ex McQueen Baja Boot, the class attracted a great deal of attention. ARI techs had just finished getting the EX operable and were delighted to see Harvey and his Ford show vehicle EX garner the award for most innovative Vehicle. Clockwise from upper left: Jeri and Mary Ann’s 1962 Mercedes Benz Pillarless Phaeton awarded Best German Touring Car 1961-71 a couple years after its restoration at our shop. Chris’ perfectly prepared 1973 Alpine Renault in rally spec and trim garnering Best Competition car post 65. The tidy little 1939 MG TB Miriam & Jeff have enjoyed both on the road and on the track. Michael’s 1959 Porsche RSK awarded Best Competition car 1958-65. The always enthusiastic Hans and his super 1963 Porsche 356B coupe in rally ready trim. The Automotive Restorations tent at Greenwich was busy all weekend . The Ferrari did in fact sell and there were inquires aplenty. ARI sales guys David Bate and Michael Silverstein had a great weekend. Tom, Keron and Brian, a few of the ARI field crew were on the job all weekend to keep thing up to speed. With Andy is at the wheel we see a very happy Elizabeth exhibiting the award for Best of Show at the conclusion of Sunday’s Greenwich Concours d’Elegance Concours Europa. A distinguished team of judges also voted this car Best Italian Sports Car 1946-59. The entire staff at ARI who’ve had their hands into this project and were rewarded by this well deserved recognition of a superb example of the art of the automobile. At Day's end, Best of Show and People's Choice Pose for Pics! STYLE AND ELEGANCE WELL AHEAD OF THE CURVE CIRCA 1951. WE THINK THE JUDGES GOT IT RIGHT THOUGH A HARD CHOICE AMONG AN IMPRESSIVE FIELD OF ENTRIES.